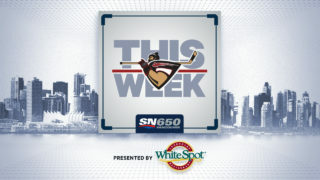 Tonight in Langley, the Vancouver Giants continue their eight-game home stand with the Saturday portion of a weekend double-header with their northern rivals, the Prince George Cougars. Both teams come into tonight riding two-game winning streaks and both teams have some key personnel returning to their respective lineups after injuries. Last Game: A 2-0 win last Saturday at home against Seattle. The Prince George Cougars have gotten great goaltending this season from 2000-born Isaiah DiLaura and 2001-born Taylor Gauthier. Gauthier has carried most of the mail to the tune of a 5-5-1-1 record in 13 games while DiLaura has followed up with a 2-2-0-1 record. Gauthier turned aside all 37 shots he faced last Saturday in a 2-0 win for the Cougars over Seattle marking his first career WHL shutout. 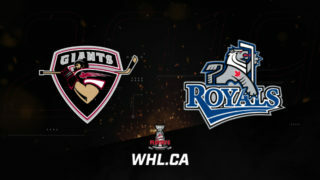 Gauthier is 2-1 lifetime against the Giants while DiLaura’s first ever WHL win came at the LEC against the Giants on December 30th, 2017. 2000-born defenceman Cole Moberg is on an offensive roll for the Prince George Cougars. The product of North Vancouver, B.C. has scored three goals along with five assists for eight points over his past five games. Moberg’s 12 points put him tops among Cougars defencemen in scoring and second in overall team scoring behind only Vladislav Mikhalchuk. Two of his five goals this season have come via the power play. Moberg was undrafted in the WHL Bantam Draft but signed with the Cougars in the fall of 2016. In 64 games last season, he managed two goals and nine assists for 11 points but has already surpassed those totals this season in 47 fewer games. Moberg is eligible for the 2019 NHL Draft. 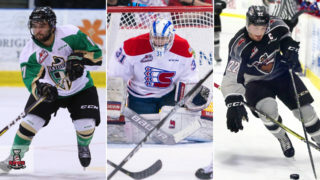 Forwards Ethan Browne, Ilijah Colina and Mike MacLean will all be back in uniform tonight for the Cougars after missing some time with injuries and suspensions. Browne comes into tonight with three goals and six assists for nine points while Colina has tallied three times as well along with two assists. Mike MacLean brings some size to the party as he checks in at 6’7” and over 230 pounds. Earlier this week both defenceman Bowen Byram and goaltender David Tendeck each suited up in two games for Team WHL in the 2018 CIBC Canada Russia Series. 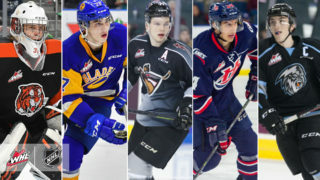 Team WHL ended up splitting the two matchups with Team WHL winning 2-1 on Monday in Kamloops before dropping a 3-1 decision at the Langley Events Centre on Tuesday. Bowen Byram logged big minutes in all situations on the back-end for Team WHL while goaltender David Tendeck made 25 saves to earn Team WHL Player of the Game honours on Tuesday. 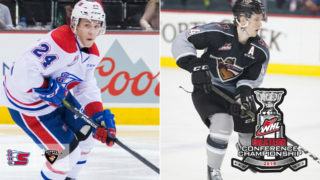 Both are hoping to receive invites to Team Canada’s World Junior camp next month. Calgary Flames prospect Milos Roman comes into tonight’s game riding a four-game point streak. During that span he’s notched three goals and two assists for five points. Roman has managed a goal in each of his past three games. In four games against the Cougars last season, Roman had a goal and two assists for three points. He’s got a goal and an assist against Prince George so far this season. Giants forward Tristen Nielsen made his Giants debut last week on Saturday against Calgary made a wonderful first impression. Nielsen assisted on the game-winning goal, was a +1 and had five shots on goal. 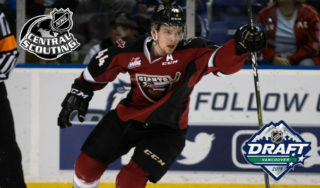 Now after a full week of practice with his new team, he’ll look to continue to provide the Giants with the type of steady, relentless play that made him the 20th overall pick in the 2015 WHL Bantam Draft. The Giants defense-corps could get a major boost tonight with the return of two veterans. Matt Barberis hasn’t played since September 30th at home against Spokane while Dylan Plouffe has not played since October 20th at home against Portland. Both provide a solid mix of skill, speed and physicality to the Giants blueline and their return will be universally welcomed by the Giants players and the coaching staff.